Dr. Daniel Enerson, a surgeon in the Pittsburgh area, and his first wife, Lillian Enerson, began collecting art and antiques in the 1960s. They were early collectors of Asian Art (Japan, China) and American art and furniture, as well as English and European art and antiques. Their collection includes prints, paintings, cameras, rugs, glass, ceramics and pottery, and toys and memorabilia and reflects their broad tastes and appetite for the hand-made object. COLLECTIBLES: Variety of fine art prints, yarn winder, wine barrels, Sheffield items, quilts, lightning rod, Noritake china set, oil lamps, baseball cards, Japanese sweet box, tin spice box, splatter ware, small calf skin chest, portable German stove, applehead dolls, keys, early electric door bell ringer, traveler’s desk, paper fans, early purses, Victorian childrens’ clothing, early photos and albums, horse brasses, adding machine, German weight set, sterling items, leather powder flask, Kodak 18mm Cine camera (Model B), copper pan, 4qt milk can, paper records (78s), stereo viewer cards, warming pans, tin types, draw knives, large variety of collector’s reference books, large variety of EARLY books, lanterns, wooden hand tools, sifters, costume jewelry, thimbles, postcards and much more. 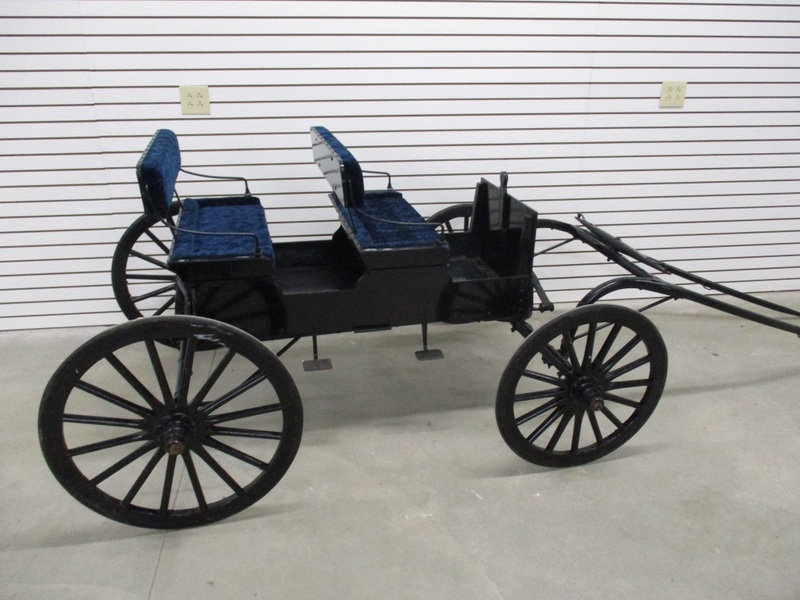 FURNITURE: 2-seated pony carriage, drop leaf tables, trunk, stands, chairs and more. Approximately 100 box lots to be sold first. TERMS: Cash, Credit Card or Approved PA Check with proper ID, 6% PA Sales Tax applies. Announcements made on day of sale, take precedence of any in the advertising.